Do you ever get so caught up in achieving results at work that you forget that the people around you are real people? Even the most empathetic of us can make this mistake. This episode, Kim and Russ are joined by guest Al Guido, President of the San Francisco 49ers, to share stories and advice for putting the human back in human resources. Kim and Russ kick off the episode with a discussion of why people sometimes fail to treat their coworkers like people. Of course, this usually isn’t intentional, but Kim and Russ explain how it can come about accidentally. Al Guido, President of the San Francisco 49ers football team, joins Kim and Russ to talk about his experiences working for the Dallas Cowboys and for the San Francisco 49ers. He tells a couple of stories about Stephen Jones, son of Jerry Jones, and the lessons Al learned from watching Stephen’s inspiring approach to leadership. Leadership is not about being in charge, it’s about taking care of people who are in your charge. 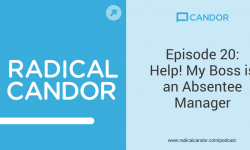 Al talks about how he has incorporated the ideas of treating people like people in his own career, and how he has focused on helping people achieve their goals, even when that means leaving the organization. Kim and Russ then answer a listener question about the concern that investing in people who want to work outside the company is a misuse of company resources. Their bottom line: help people people grow, regardless of where they’ll be in the future. Even if they leave, you’ll have a lasting ally. 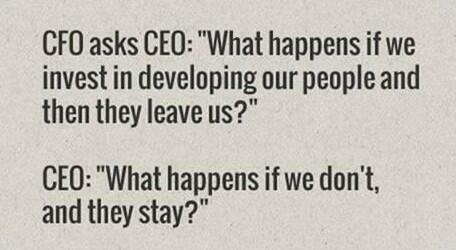 It is your obligation as a leader to invest in your people, to put that relationship at the core of your job. Tip 1: Read the people, not the room. Tip 2: Start meetings by telling a funny story from the weekend. Listen to the episode for all the details on these tips. Don’t miss our Facebook Live event this Friday, June 2nd at 12pm Pacific / 3pm Eastern! 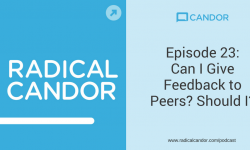 Head over to the Candor Facebook page to join us as we discuss the episode, share some stories, and answer your questions! See you there! 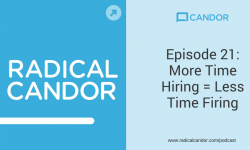 See you next week with a new episode of Radical Candor.